How should I properly code a transaction in Xero for it to reflect in my JuanTax report? "Why does it take a couple of minutes (5-10 mins or more) before my report is generated? " One of the possible causes we've seen in this scenario is due to improper coding of Xero transactions. That way, JuanTax can't easily read the transaction infomration during sync, therefore causing errors and delay on the generated report. As you connect your Xero account with JuanTax, not only will your transactions would show up and reflect within your tax reports once it's generated, but new tax rates would also be added within your Xero account immediately after the integration. These standard PH tax rates were added in lieu of the tax rates in Xero, in order for you to easily sync your created transactions to JuanTax. Once you create an invoice or bill in Xero, you need to choose for the appropriate tax rate that suits the invoice/bill. For example, you are creating an invoice for raw materials. 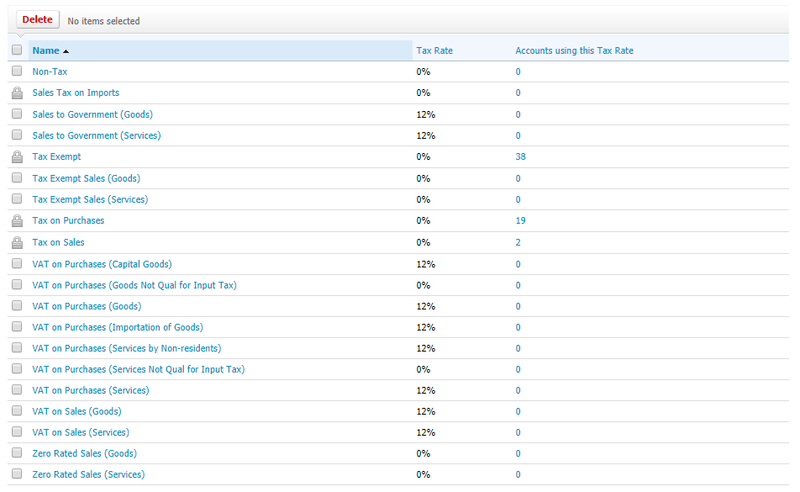 What you have to do is to code the tax rate according to your transaction in Xero. Since it’s an invoice, you need to choose VAT on Sales, then since it’s for raw materials (books, etc.) use Goods along with the standard rate of 12% (VAT on Sales (Goods) (12%)). After paying for the invoice, the transaction would appear once you generate a report in JuanTax.